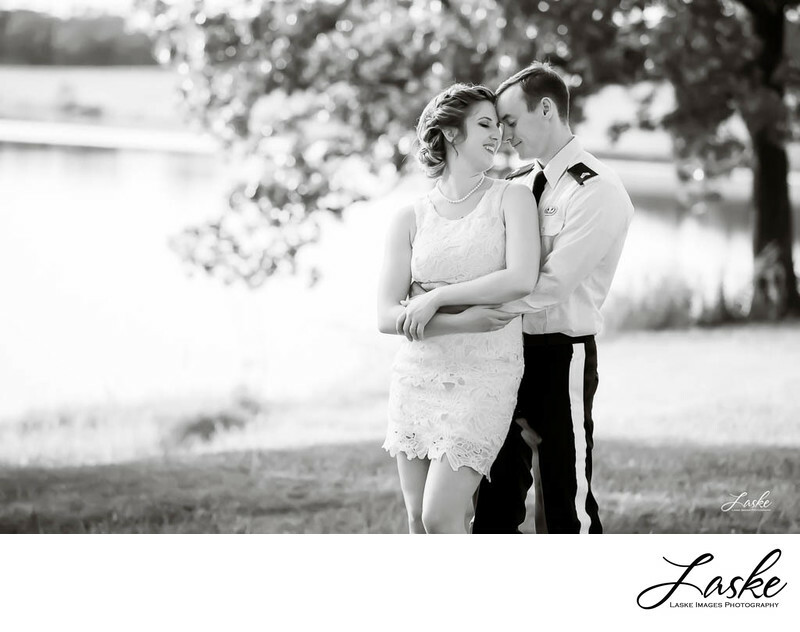 Groom in uniform holds Bride and leans his head on her forehead. Outdoor by a lake. Sepia tone. 1/1600; f/4.0; ISO 640; 170.0 mm.